Ryder, Keesha, and Deacon, three lifelong friends, now in their teens have been named the leader-futures for Interregnum City, the first city to decolonize itself from the script of corporate enslavement. The city has gone “off-script.” They, along with their friends and families take the reader into a hopeful landscape of what might yet be possible if, and when, communities embrace the revolutionary power of the collective will, imagination and love. It is fiction of hope; representing any city in America and set in an unknown future time. This is a tale of what could be. Ryder, Deacon and Keesha confront obstacles such as the looming data pods built along the Interregnum Mile, and their secret discovery of the terror that lies waiting for their community if they cannot stop the colonizers secret mission in time. With the help of Ryder’s Uncle Kelley, Deacon’s grandfather Pops, and Keesha’s mother Susan, these three youth lead their city on a mission for reclamation, resurrection, and resurgence. The heads of lettuce peeked meekly out of the dirt, edges tipped downward in disapproving fashion. “This is not how we are supposed to feel!” they seemed to be saying. Pops was frowning too. He seemed to be in silent agreement with the whole crop of the community garden. They were all in physical despair. The last round of “eruptions” (no one knew what to call them because their origins of cause were still unknown) seemed to set off a chain of physical events in Interregnum City. This chain of events included a sudden downturn in the garden, which merely two weeks ago was ready for a robust harvesting, and now wept and crumbled back inward toward the soil from where it came. Certain city blocks complained of their tap water turning a yellowish-brown at the faucets. In other segments of the city, buildings (previous solid and unwavering in their construction), were now weak at the foundations and dozens of families evacuated until they could be re secured. Something was growing underground. The strange “booming” sound was impossible to ignore. But what? And why? Pops knew instinctively that Romer Onyx was behind this. It had only been two weeks since Keesha, Ryder and Deacon had gone “underground” (a phrase he found darkly funny given the circumstance), and today in this very garden was his intel meeting with his “insider.” Through brief visits with Deacon late at night inside the tunnels, Pops learned that Kelley and Kesha were quietly tapping into the RO data base through Susan’s computer while Keesha also spent time with her mom painting murals across the string of abandoned buildings littering the outskirts of RO property. The land owned by R.O was larger than many of the surrounding cities. Over the course of thirty years, R.O had grown into a world unto itself. Meanwhile, Ryder was working with Pops “insider,” taking him under his wing, disguised as a RO employee. The air was hot and dry. It hadn’t rained for days. Pops stretched his legs from beneath the wooden bench situated at the far corner alongside the dying rows of beans and peppers. What would happen them? To all of them, if they couldn’t stop Romer Onyx from whatever it was they were doing? He hoped that English would have some answers … finally. The cryptic messages from Deacon, who spent more hours running Intel back and forth through the tunnels than he did in the deli, were difficult to understand. His long hours of absence were sorely noted by his mother, too. “Where has that Deacon gone off to now, Pops?” she would ask, with annoyance. “Sent him on a long delivery run,” Pops would reply. Lips pursed, eyes narrowed, Deacon’s mom would say, “Hmmm. Sure, Pops,” as if she knew something else was afoot, but just chose not to ask. Running the store kept her occupied enough without getting caught up in “whatever this was” that Pops and Deacon had going on. Let them have their secret project, she told herself. She trusted her father implicitly- whatever it was, he had his reasons she was sure. Besides, since the community garden has started failing, inexplicably, their sources of fresh produce for the shop were in short supply as well, and they were barely hanging on these last few weeks. It felt as if the community might run out of food if something couldn’t be done. They’d be forced to buy from outside sources, a thought that sickened her. Half the community would rather starve than have to outsource their food supply to the likes of companies like Romer Onyx, which controlled all the factory farms that lay just over the horizon of their city limits. Pops shifted his seat, his back was getting sore leaning on the hard wooden surface. Then he saw English turn the corner at the flower stand, pass through the gate, and stroll through the midsection of the garden toward him. He wore a weary expression. Pops nodded. He allowed English a moment to settle in beside him on the bench and the two sat in silence for a few seconds. The heat felt as heavy as the silence. Pops gave a deliberate sigh. “Yeah, I know,” English replied as if reading his thoughts. “How long have we known each other?” English asked, his gaze looking steadily outward into space. Pops paused as if considering the answer to complex mathematic problem. “’Bout fifty years I suppose now,” he replied. Pops stomach tightened. What was it exactly that English had to tell him? How bad was this Intel going to be? “Nope, my friend. You are as right as rain,” Pops assured him. His friendship with English went back to when their families lived next door to each other, row home by row home, sharing stories and lemonade on the stoops on hot summer days, and Sunday dinners on cold winter evenings. As they grew from teens to adulthood, English’s sister Delia became the object of Pops’ affection, and eventually, Delia became Pops’ wife. His brother-in-law English was his most trusted friend, even after Delia passed suddenly from cancer when their daughter still very young. English became a second father – helping to rear is his niece, and her son Deacon, in his sister’s absence. Although he missed her terribly every day, a part of Pops was relieved she never had to witness the destruction of their community and their family networks at the hands of R.O. Toward the end, Delia was too ill to any pay attention to the stories of what the tracking and surveillance the police and justice system (both outsourced to R.O) was doing to their young people. Before they were even out of school, like indentured servants or enslaved people of their ancestry, children were indebted to R.O. and companies like it in exchange for the education these companies had paid for. Public education was completely eradicated and replaced with charter schools, owned and managed by technology moguls who promised skills and employment. But it became clear, underneath their slick promises of money and jobs, what their community offered in exchange was more than they bargained for. First, centuries before, they had been starved economically nearly out of existence by these same financial “wizards” who, after leaving the communities in near-shambles, re-entered the neighborhoods with promise of “hope and repair.” At the time, it hadn’t seemed like a bad deal. Besides, what were their other options? It wasn’t so bad at first. Things seemed to get better. At least, while Delia was alive. Then R.O revealed the price of their agreement. “Philanthropic investments” in social goods and services in exchange for continuous surveillance. They tried to endure it. What choice did they have? But after 20 years of being fed up, they found another option in going off script. Complete divestment from the corporate powers that had for centuries sought, not to destroy them, but to use them, for their own purposes. Looking over the garden, and then at English, Pops wondered if they were again under attack. Or, perhaps not if …but how. English asked, “And how long have I been passing along Intel from R.O?” His blue eyes looked grey in the garden sunlight. Pops paused again. His debt for the risks English had been taking, working for R.O undercover and secretly passing along whatever information he could glean, while working as the food coordinator for the R.O kitchens, was invaluable to the community. If R.O. ever found out their secrets were being leaked by their trusted kitchen supervisor, there was no telling what might come of English. Other Romer Onyx “leaks” had tried (and failed) to give Intel to Interregnum City. No one quite knew what happened them. Pops thought about Ryder’s father, Reverend Booker, who had gone missing ten years after the decolonizing revolution. Booker’s Intel had been the corner stone of the community’s capacity to decolonize themselves. Without his work, they’d still be in electronic chains. And then, on the morning they were celebrating their ten year anniversary of the revolution, as Kelly and the Black Hatters stood atop the Data Pods now laying like slain beasts of the fields, as dead as the heads of lettuce in this garden; that same day, Reverend Booker simply vanished. No note. No trace. A devoted father and husband doesn’t just walk away like that. But no Intel out of R.O ever gave clue to where he might have been taken. Pops hoped that whatever English had to tell him, might include news about the Reverend. “You’re going to think I am the far side of madness when I tell you what I heard just two days ago from the top brass at R.O,” English said anxiously. Pops felt the knot in his gut tighten even more. What followed defied all capacity for disbelief Pops had ever had. To be continued in forthcoming Chapter Nine…. On Thursday, May 11, 2017, the University of Maryland dedicated the new Edward St. John Learning and Teaching Center. Named for Baltimore-based developer, philanthropist and 1961 alumnus, Edward St. John, founder and chairman of St. John Properties, the 187,000-square- foot space, which includes 12 classrooms and nine teaching labs with a total of 1,500 seats, will elevate the culture of collaborative learning on campus. The contract is also presented on MCE’s Fiscal Year statement. 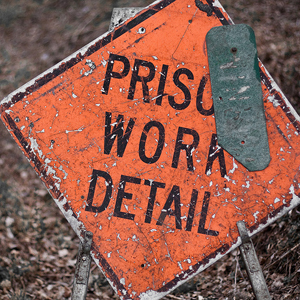 Maryland Correctional Enterprises (MCE) is the state’s own prison labor company. A semi-autonomous subdivision of the Department of Public Safety and Correctional Services (DPSCS), MCE commands a workforce of thousands of prisoners, paid just a few dollars per day. MCE workers make far less than minimum wage, earning between $1.50 and $5.10 for an entire day’s work. Edward St. John is also a big donor to KIPP schools, known for their “zero-tolerance” discipline tactics which ironically funnel more students into the prison pipeline than do public schools. But it doesn’t stop with KIPP. St. John is also the developer for a new charter school in Frederick County: The Frederick Classical Charter School. Clearly, St. John did his homework about the uber-profits that can be made by corporate venture investments into school “reform” like charters. So, let me re summarize this succinctly once more for the cheap seats in the back: Corporate philanthropists like St. John use $ and power to influence education reform policies, and build their own charter schools, which create racist zero-tolerance policies that expel or suspend children of color, who wind up in the correctional facilities that build the higher education buildings where students will be taught to support education reforms that support the same philanthropists. As his company credo says: Doing Well By Doing Good. It’s clear he’s doing “well” … but is he doing “good”?